The Gilded Age comes to life in this first installment of the Thousand Islands Series! featuring Susan’s story, “Hallmark Mom” releases March 19, 2019.
featuring Susan’s story, “Long Distance Grandparenting” releases March 26, 2019. Sara McNully and Sean Graham must navigate the challenging waters of work and romance. Sara befriends Sean’s 6-year-old daughter, Madison, but when Sara’s trust is shattered, can she learn to trust Sean with her heart or will she break two hearts and run away? Devyn McKenna is forced to work in the Towers on Dark Island, one of the enchanting Thousand Islands, summer home to Gilded Age millionaires. But when Devyn finds herself in service to the wealthy Frederick Bourne family, her life takes an unexpected turn. Brice McBride serves as Mr. Bourne’s valet as well as the occasional tour guide and under butler. Brice tries to help the mysterious Devyn find peace in her new world, but she can’t seem to stay out of trouble—especially when she’s accused of stealing Bourne’s money for Vanderbilt’s blueprints for the NYC subway expansion. Want to keep up with Susan? 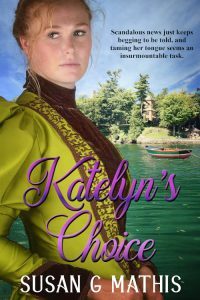 March 13: Susan talks about Katelyn’s Choice on her blog. March 15: Katelyn’s Choice releases!!! Be sure you get your copy and please write a review. Thanks! March 16: Susan will be signing her books at the Colorado Book and Arts Festival from 12-4. March 19: Susan is a featured author on the Christian Authors Network blog. March 20: Susan will be signing her books at the Tri-Lakes Y in Monument, CO from 10-12. March 20: Chicken Soup for the Soul: Mom Knows Best releases! 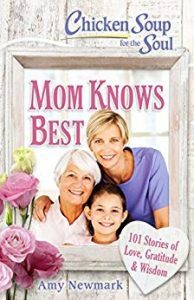 A sweet story about her mom is in it. 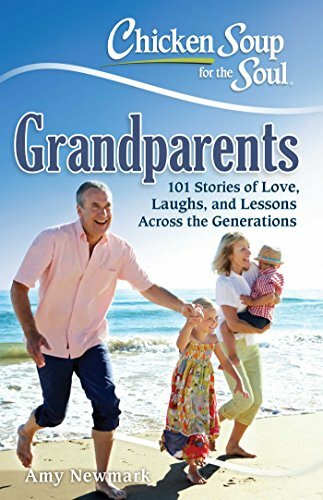 March 26: Chicken Soup for the Soul: Grandparents releases! The book features a story about building relationships long-distance with her grandchildren. March 30: Susan will be featured on Donna Schlachter’s HiStoryThruTheAges blog. April 25: Susan will be signing her books at Covered Treasures Bookstore in Monument from 5-8 p.m.
Dec. 1: Susan was a guest on HistoryThruTheAges blog discussing Christmas Charity. Dec. 8: Susan had a book signing at Covered Treasures Bookstore in Monument, CO from 11-1. Dec. 13: Susan was a guest on Peggy Sue Wells blog. Dec. 18: Susan was a featured author in More To Life (MTL) magazine. Nov. 3: Susan presented a workshop “Making Sense of it All!” at the Colorado Springs ACFW meeting from 10-12. Nov. 3: Susan gave a book talk and signed her newest novella, Christmas Charity, at the Monument PPLD library from 2-4. Nov. 7: Susan had a book signing at the Tri-Lakes YMCA in Monument, CO, from 10-1. Nov. 17: Susan gave a book talk and signed her newest novella, Christmas Charity, at the Author Showcase at the Douglas Co. Library in Parker, Colorado from 1-4. Do you need a speaker for your writing group, book club, or writing conference? Since 1993, Susan has been a speaker at writers conferences, teachers conventions, and other organizational gatherings such as Evangelical Press Association (EPA). Susan mentors writers and editors, leads a bi-monthly writers group, co-leads the regional EPA meetings, and has spoken internationally. Contact Susan if you need a speaker for your group, conference, or other event. Are you having a writers event? Susan is available to speak to your writers conference, writers retreat, or writers groups. Susan would be glad to do single workshops, multiple sessions, or a continuing education module. Making Sense of it All. It’s easy to lose the beauty of the moment, an awareness of the senses, delight in the small things, and the sweet simplicity that can make your writing life, and your writing itself so full and vibrant. Come for a hands-on workshop to ignite your creativity in a whole new way, engage your senses, and be amazed how it’ll bring your writing alive! Organize Your Writing Life. Organizing your writing project—and your writing life—can help you succeed as a writer. Whether your making a plan, scheduling your writing, finding the right tools to help you, or getting ready to write the next Great American Novel, organizing is key. This workshop will give you practical tools to do just that. The Flip Side of a Writer. It’s important to understand the dual sides of a writer — the creative side and the analytic side. This workshop will help you hone your editing skills, work effectively with your editor, and develop your analytic side with ease. Self-Editing Made Easy. For creative writers, editing your own work can be daunting. This session provides a step-by-step way to edit your own writing project. Writing an Amazing Magazine Article. You’ve got a great idea. Here’s a step-by-step way to take your idea and make it an amazing article for publication. Writing an Amazing Query Letter. Query letter? What’s that? Whether you are writing it for an article or for a book editor to read, come and find out how to create an amazing query letter that editors will stop and notice! Writing From Your Sweet Spot. You desire to write, even feel called to write. So how do you creatively connect, nurture your vision, grow in your craft, persevere through the challenges, and find God’s plan for your writing life? Words that Work. Like producing a symphony, creating a written work of art takes vision, hard work, skill—and teamwork. We’ll talk about how to hone your vision, work effectively, develop your skills, and work with your editor well. Keeping the Focus. In today’s culture, unbiblical worldviews often creep into writing, even from seasoned professional writers. So what, exactly, is a worldview, and how does a writer convey a biblical worldview—without getting theological? Find out how to make sure your writing aligns with biblical truth so you really make a difference in the lives of your readers. For Editors: The Ideal Editor. Come and learn some tried and true tips for editing a magazine or newsletter article to make it a memorable piece of written art. Topics will include: making effective assignments, respecting the author and keeping his or her voice, and employing the art of being an invisible editor. “Susan’s professional knowledge of many facets of the publishing industry make her a great workshop presenter at writers conferences. I highly recommend her!” —Joyce E.
“Susan is passionate about encouraging young writers, coaching aspiring editors, and touching the hearts of readers around the world.” —Pam W.
Contact Susan for pricing, scheduling, and further details.